PC: Multicore CPU, 64-bit operating system (min. Windows 7), 8 GB RAM, 500MB HDD, 1024x768 screen resolution, VST2 64-bit compatible audio host. AAX 64-bit operating system and DAW (PT 11 or higher). MAC: Dual Core CPU, 64-bit operating system (min. OS X 10.9 - Mavericks), 8 GB RAM, 500MB HDD, 1024x768 screen resolution, VST/AU 64-bit compatible audio host. AAX 64-bit operating system and DAW (PT 11 or higher). The Flexibility of a Rare, Fully Parametric 3 Band EQ. 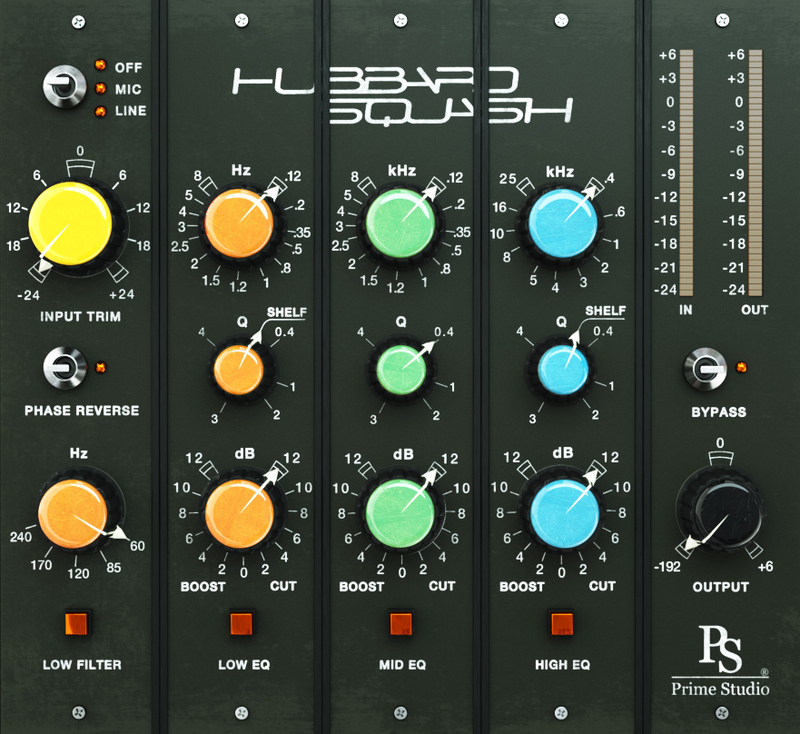 Prime Studio Hubbard Squash offers the flexibility of a rare fully parametric three-band equalizer with low cut filter and phase reverse. In addition to the equalizer function, you can also choose between different sound colors for mic and line amplification.